Remember that the winners in all the Cybils' categories will be announced next Sunday, Feb. 14th, Valentine's Day. All the finalists are here. It's a dense book, full of much information about older and more recent research surrounding introverts and extroverts, how the brains work in each, and sometimes how they do things mixed from both temperaments. Personalities can be formed from nature or nurture, and each person does not fit into a precise mode. 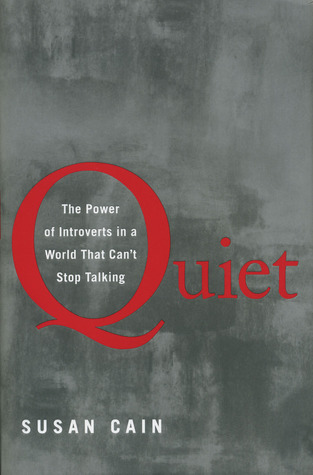 Susan Cain focuses on introversion, how those who feel they're introverts often remain quiet, and sometimes are not "heard" because of their preferred ways of thinking and presentation. They think first, act second, and that is sometimes looked upon as too late. If you have a feeling that you often don't fit into the social whirl of enthusiastic, "out there" people who take up all the space, this is a book you will enjoy. And it is a book that might help you feel you have more control over your life. 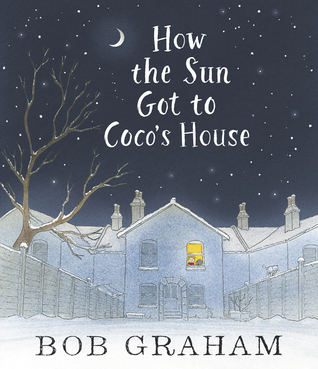 Bob Graham’s illustrations are filled with joy as the sun moves through his landscape of different people in the world, furry animals, and interesting streets. Finally it gets to Coco’s house and wakes him. He runs to wake the sleepy parents, and a day of play begins, with the sun as one of their companions. Those little things illuminated in Graham’s story make you smile with each page. Based on a scientific concept that occurs in nature, Willow Dawson tells the story of the relationship between ravens and wolves, some believe has happened for thousands of years. Ravens go hungry in winter because snow covers much of their food, and often they depend on wolves to first make a kill so the ravens can eat the exposed flesh. Ravens are not strong enough to tear through a hide. On the other hand, ravens can oversee the land from above, and some have observe them cawing near prey, a kind of notice to the wolves, or even other hunters. Ravens also steal from the wolves, called klepto-parasitism, but sometimes it is a mutual help, which is mutualism. Dawson uses spare words and illustrations to show stark winter and the utter need for food by these and other animals, along with the help each give the other. It’s painted in acrylic, with soft outlining, in a graphic style. There is additional information and a detailed bibliography at the back, and beautiful endpapers depicting a forest. 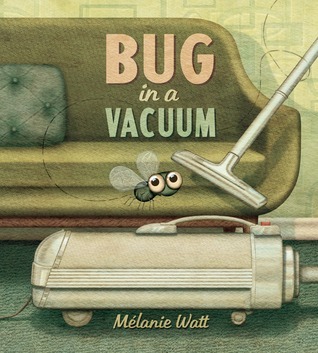 In this imaginative tale of a bug being whooshed into a vacuum, Watt takes us through the five stages of grief. There can be grief for more than death, some losses to children can be just as serious. Two animals are involved, a dog who lost his favorite toy, and the bug in the vacuum. Perhaps this book will be helpful to different ages, or for all of us reading to try to understand what’s happening in someone’s life. The illustrations are somber, filled with all kinds of objects and a cloudy mess inside the vacuum, details and speech bubbles help understand the feelings going on. STILL READING: Rooftoppers by Deborah Rundell, finally caught up with this, and am enjoying it thoroughly. Thanks to everyone who kept recommending it. NEXT: Also by Deborah Rundell, The Wolf Wilder! I really have to read Quiet. It has been on my to-read list for such a long time. I think it's an important subject. Sounds like it would be helpful to understand the different personalities in the classroom, too. Yes, I probably should have mentioned that, too, Lisa. My book group talked a lot about the application for students (we're all teachers). We love Bob Graham's books and want to write a post about his newest books - Thank you for telling us about this text. It is a lovely book, text and illustrations. 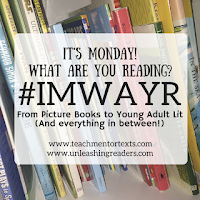 It will be good to read about all of them when you share! I loved Bug in a Vacuum! There is so much going on in it for readers of any age. I'm particularly interested in The Wolf Birds and just put a hold on it at our public library. It is a gorgeous book, and I loved that there was background research for it, too. So pleased you are loving Rooftoppers (Katherine not Deborah :-) ) I am such a fan of this author. You should pick up The Wolf Wilder as well! I look forward to finding this Bob Graham title. It is quite a lovely story, Carrie, & I do have The Wolf Wilder, too! The Bob Graham is nice. I just read Bug in a Vacuum, it's pretty hilarious. Wolf Birds is a stunning picture book, something quite original that really stands out amongst picture books. Glad you liked them both. I did too! Waiting on RoofToppers from the library and must look for Bug in a Vacuum - it sounds funny! As I wrote, I'm glad to have finally starting reading Rooftoppers. Hope you enjoy it, too, Joanne. Quiet was life-changing for me. I learned so much about myself from reading it. I enjoyed reading it, and it was a great discussion with my group, too, Beth. Lots of new to me books here, Linda. I think the only one I've read is Melanie Watt's book. I've read Wolf Wilder, but I'd like to read Katherine's other books too! Sometime be sure to find The Wolf Birds, Michele. It's wonderfully done. And I am liking Rooftoppers a lot. I have been eyeing Quiet for some time--as a most definite introvert myself. I am fascinated by the ravens and wolves. I had no idea they worked together like that. Nature is quite wonderful with all the ways animals have learned to survive. The story is great, and it's also beautiful, Kay. If you can, enjoy Quiet a little bit at a time! The Wolf Birds looks like it might be a good companion to Julie of the Wolves by Jean Craighead George. I'm anxious to get a copy of it. Quiet also looks like a fascinating read. I also have Bug in a Vacuum on my To Read list. You've got a great list this week. I liked every one, and for different reasons, Jana. 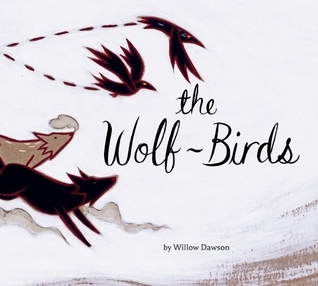 The Wolf Birds has a good story and gorgeous illustrations. Quiet is contemplative, and Bugs In A Vacuum shocked me a little, but it's true to its purpose, those stages of grief. I've wanted to read Quiet since it came out. I've recently determined that I'm an outgoing introvert, so I have been loving learning about introverts. Someone explained to me once that teachers learn to be extraverts when needed. They have to. I am an introvert for sure, but can enter a group when I need to. Thanks, Kellee. I haven't read it yet, but my older daughter loved Quiet. I like the cover of The Wolf Birds, and Bug in a Vacuum looks intriguing. As I've said earlier, all are great books, worth reading. They're thoughtful, & each one uses research to support their stories. Enjoy! I'm looking forward to the awards next week, Myra. All the finalists are worthy, aren't they? I look forward to hear your take on titles that I have not read yet. I can see that you are the perfect fit for the book store volunteer position, Linda. Thanks Carol, hope when you read you'll find a wonderful book just for you. Your poem, Lost Love, is filled with promise. I really want to read Quiet. Thanks for the reviews. I hope you can get to it soon, Crystal. I am reading Rooftoppers right now too and loving it. Just got Wolf Wilder from the library as well so our reading is overlapping this week! I listened to part of Quiet on audio and really liked it in that format--lots there to think about. It definitely helped me understand why I usually want to hibernate when I'm home. My work is intensely social and requires quite a lot of extraversion! I think you will like The Wolf Wilder too, just started it. Rooftoppers was such a pleasure. How fun that we're reading the same books! Quiet showed research that amazed me and I enjoyed hearing about that work, and how it applied to temperament & personality. Thanks, Elisabeth.